Maui Dolphin–47 Left in the Wild – Neptune 911! The smallest and the rarest marine dolphin in the world — the Maui dolphin — is on the verge of disappearing forever. There are no more than 47 of these mammals left in the wild, existing in just a sliver of ocean on the west coast of New Zealand’s North Island. The Maui dolphin — on average 5 feet, 5 inches in size — lives only about 20 years. The females give birth only once every three years, which means the reproductive rate for the species is very low. The dire situation for the mammal is laid out in a new report authored by Barbara Maas, head of endangered species conservation at NABU International. 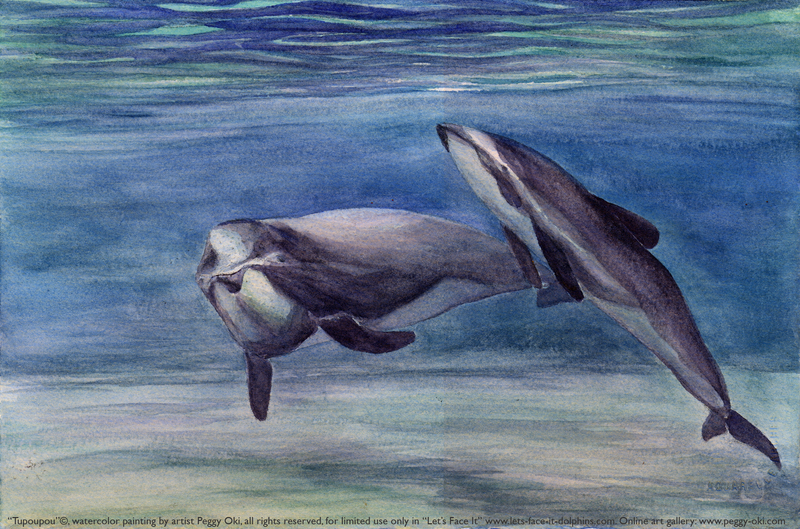 What is overwhelmingly contributing to the decline of the Maui dolphin? Fisheries. Specifically, boat trawlers, which drag fishing nets along the bottom of the sea, and gillnets, a vertical wall of (typically) nylon netting that entangle the critically endangered marine mammal. In fact, Maas’ report notes that 95 percent of all Maui dolphin fatalities are attributed to these fishing methods in New Zealand. Other culprits in the Maui dolphin demise include oil and gas production and seismic testing in its habitat. So, what is being done to save the Maui dolphin from extinction? But gillnetting limits increased the area of protection by a mere 3 percent, she says. Which means more than 80 percent of Maui dolphin habitat is open to gillnets and more than “95 percent of Maui dolphin habitat is still open to trawling,” Maas says. Maas, who doesn’t pull any punches, exclaims that, “People have pussyfooted around this issue long enough and we need to say it like it is.” She hopes these new numbers are “a wake up call and a reality check.” Not only for the dolphins’ plight, but also for conservation writ large: “Normal conservation systems are not working. They are too slow … and significantly out of step with what is required to protect these animals,” says Maas. Maas says NABU International is calling for a ban of all gillnetting and trawling across the dolphins’ habitat. The IWC and the Society for Marine Mammology have called for the same. However, Maas concludes that even in the best conditions, Maui dolphins will need a near miracle to recover. Even with maximum population growth for the dolphin, and human impact at level zero, it will take 87 long and perfect years for the dolphins to reach the tiny population size of just 250 mature individuals. Maas’ study will be presented at the annual scientific committee of the International Whaling Commission (IWC), currently meeting in San Diego.